Technology – PH Pharmaceuticals (PHP) has an issued patent on pharmaceutical aerosol technologies capable of mitigating or reversing the pulmonary clearance defects associated with cystic fibrosis (CF). The technology was discovered by Dr. George Scheele and his coworkers at Harvard Medical School based on 14 papers published between 1990 and 2001. These studies defined the ultimate biochemical deficiency associated with CF. A synopsis of these studies may be found under Scientist. Proof of Concept Human Trials – Under the supervision of Dr. Joseph Pilewski at the University of Pittsburgh Medical Center, IRB-sponsored “Proof-of-Concept” trials in cystic fibrosis patients have demonstrated both the safety and efficacy of the PHP technology. Proof of Concept trials continue in an effort to determine the efficacy of PHP's technology in subgroups of CF patients.  Developed topical treatment products for Herpes labialis and Herpes genitalis. Phase IIA clinical trials will be conducted in Germany for Herpes genitalis and Hungary for Herpes labialis, starting in Q2, 2004, for European registration.  The first long-acting antiviral hand cream and skin lotion is currently under development.  Human Immunodeficiency Virus (HIV), Human Papilloma Virus (HPV) and Hepatitis B & C Virus (HBV, HCV). In 2000 I founded NovaLife, Inc., an E-Commerce health-care company focused on (i) Anti-Aging skin-care products and (ii) health-care products designed to restore the radiance of skin and nails. Currently, I serve as Chairman of this company. 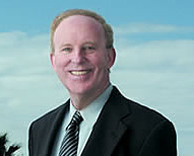 In the early 1990s I moved from the academic world into the business world by founding AlphaGene, Inc., a genomics and proteomics company focused on the discovery of genes associated with disease states, particularly those in the brain including Alzheimer's disease, Parkinson's disease, temporal-lobe epilepsy, trauma and cancer. 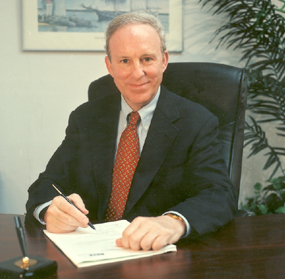 I served as Chairman, President and CEO of AlphaGene from 1993 through 1997.  Prepared strategic business plans and marketing brochures.  Together, with Chief Financial Officer, prepared operating budgets, P&L statements, balance sheets, and financial projections.  Established initial operations in the Charlestown Navy Yard Biotech Park in 1994 (3,000 sq. ft.) and moved business to Woburn , MA to expand operations in 1996 (10,000 sq. ft. in 6/96; 15,000 sq. ft. in 9/97).  Supervised a recruitment program which increased the number of employees from three in 11/94 to 35, including eight Ph.D.s, in 6/97.  Responsible for presentations to investments bankers, the scientific community, and potential clients.  Supervised the establishment of five core technologies which enabled the first disease-based, full-length genomics platform, AlphaGenomicsT, for expressed human genes. Molecular Biology - Synthesis of Full-Length, EXpressed gene (FLEX™) libraries. This patented technology provides the first technology platform capable of synthesizing cDNA libraries with high concentrations of full-length genes. Gene Family Selection (FLEX-FamilySelect™) - Identifies new members of known gene families. Gene Expression (FLEXpression™) - Uses high density microarray technology on biochips to identify disease-related genes according to their differential expression between normal and diseased tissues. DNA sequencing (FLEX-AutoSeq™) - The first automated platform for rapidly obtaining high quality (6-10 fold coverage) DNA sequences in full-length cDNAs. Demonstrated throughput of 200 full-length genes per month. Bioinformatics (FLEX-IS™) - Patent pending technology developed to automatically analyze the structural and functional features of full-length genes. The front end configured with an ease-of-use, point-and-click, drag-and-drop, icon-based query engine that substitutes for standard query language. Together, these two innovative features enable advanced data mining/discovery by individual scientists at platform-independent, point-of-research work stations.  Supervised the acquisition of scientific proof of principle for each of the core technologies. Genetics Institute contract signed in February, 1998. NEN Life Sciences contract signed in August, 1998. "It is not the critic who counts. The credit belongs to the man who is actually in the arena; whose face is marred by the dust and sweat and blood; who, at the best, knows in the end the triumph of high achievement, and who, at worst, if he fails, at least fails while daring greatly; so that his place shall never be with those cold and timid souls who know neither victory or defeat."